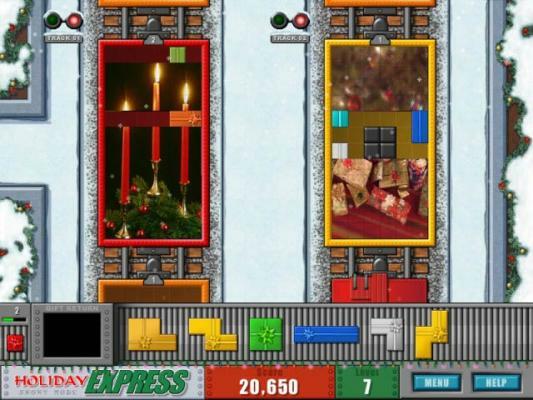 Celebrate the holidays by delivering colorful presents on the Holiday Express! 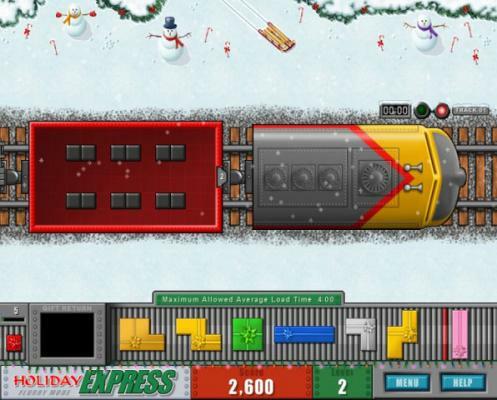 Arrange the gifts, fill up the train and reveal festive photos! 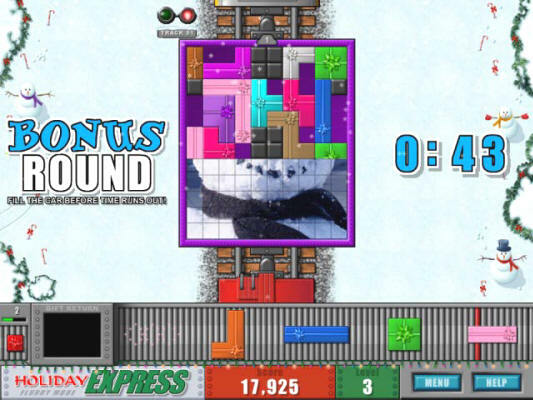 Enjoy falling snow, bonus rounds and jolly music in this great holiday- themed game. 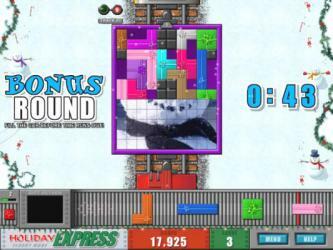 The game play is similar to Tetris. There's two play modes and new photos are downloaded automatically so you'll have plenty of fun for the holidays! You can even add your favorite photos right into the game! Keep out the cold with this merry treat!